Former Doomsday cult leader Pyotr Kuznetsov has received a new passport instead of his previous one, which he burnt claiming it was a ‘diabolical document’. According to reports, he accepted the new document without hesitation. Earlier, Kuznetsov had been urging his followers to get rid of all documents they had, including passports and taxpayer IDs, saying they contain signs of the devil. In November last year, 35 members of the cult which called itself ‘The True Russian Orthodox Church’, shut themselves in an underground bunker in Russia’s Penza region, saying the apocalypse would come in May 2008. Despite all efforts at negotiation, they continued to threaten to set themselves alight if anyone tried to force them out from their bunker. Pyotr Kuznetsov, though, was not among them. He said he had ‘another preordained destiny’. After spring floodwaters caused part of the bunker's roof to collapse at the end of March, more that 20 left the hide-out, and the others followed in May. 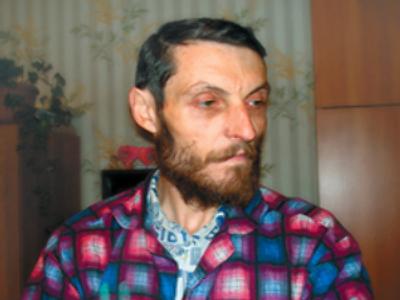 ‘Father Pyotr’, as his followers called him, has been diagnosed as suffering from schizophrenia and is currently undergoing psychiatric treatment.